Are you an adult who: Had a vested interest in Edward versus Jacob? Ugly cried at the end of the Divergent trilogy? Has a Mockingjay somewhere in your jewelry box? If you answered "yes" to any of these questions, you have found the perfect podcast: Young Adult at Heart: Great YA Reads for All Ages. 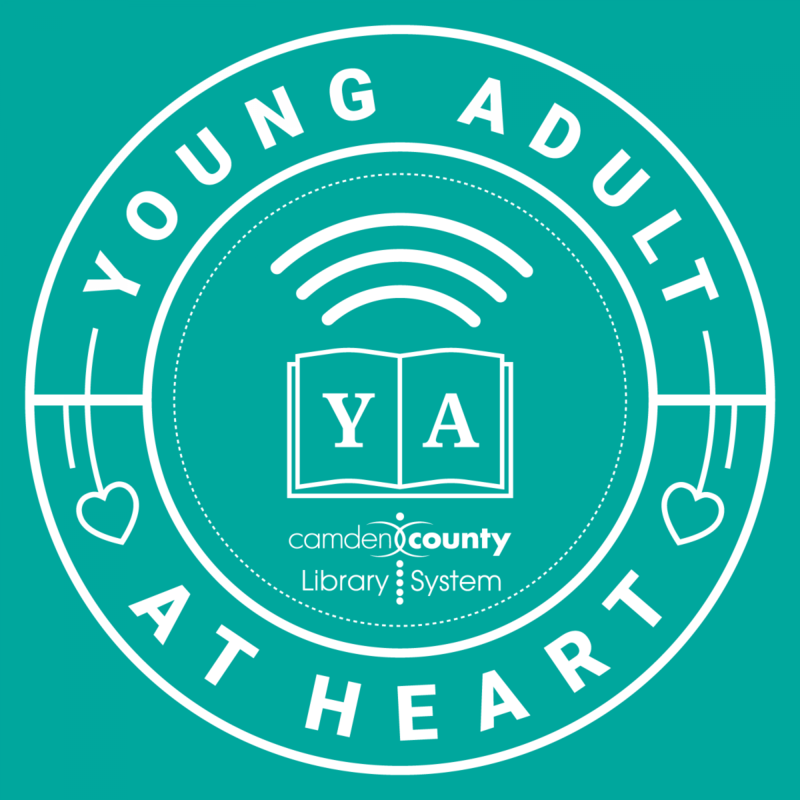 Join Alexis and Christen from the Camden County Library System as they discuss the newest and most popular YA books, as well as some must read older favorites. A new podcast will appear monthly that features a new YA title, while exploring what makes this book so great (or awful! 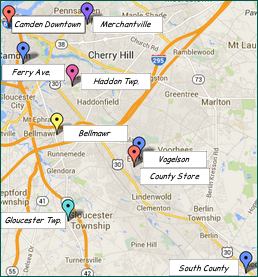 ), what kind of teen angst you can expect, and some great reading recommendations. Join Christen and Alexis as they discuss Victoria Ayeyard's Red Queen in the pilot episode of Young Adult at Heart: Great YA Reads for All Ages. Christen and Alexis discuss Jennifer Neven's All the Bright Places in the second episode of Young Adult at Heart: Great YA Reads for All Ages. 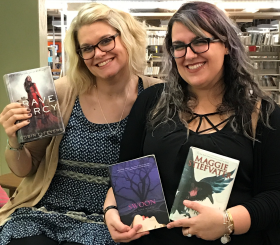 Christen and Alexis feature Veronica Roth's Carve the Mark in the third episode of Young Adult at Heart: Great YA Reads for All Ages. Christen and Alexis feature Stephenie Meyer's new adult thriller The Chemist, followed by lists of some of their favorite YA reads over the years, in this month's episode of Young Adult at Heart: Great YA Reads for All Ages. Christen and Alexis feature Zoraida Cordova's first book in the Brooklyn Bruja series, Labyrinth Lost, in this month's episode of Young Adult at Heart: Great YA Reads for Ages. Join Christen and special guest Alexis as they discuss Susin Nielsen's Optimists Die First in this month's episode of Young Adult at Heart: Great YA Reads for All Ages. Join Christen and Ryan as they discuss Jonathan Maberry's Devil's Advocate (part of the X-Files Origins series) in this month's episode of Young Adult at Heart: Great YA Reads for All Ages. Join Christen and Ryan as they discuss Kami Garcia's Agent of Chaos (part of the X-Files Origins series) in this month's episode of Young Adult at Heart: Great YA Reads for All Ages. Join Christen and Stephanie as they discuss Jennifer Latham's Dreamland Burning in this month's episode of Young Adult at Heart: Great YA Reads for All Ages. Join Christen and Emily as they discuss Ashley Poston's Geekerella in this month's episode of Young Adult at Heart: Great YA Reads for All Ages. Join Christen and Yuliya as they discuss Andrew Shvarts' Royal Bastards in this month's episode of Young Adult at Heart: Great YA Reads for All Ages. Join Christen and Ryan as they discuss Bernard Conrnwell's The Last Kingdom in this month's episode of Young Adult at Heart: Great YA Reads for All Ages. Join Christen and special guest Alexis as they wrap up their 2017 Best in Books. They will be discussing their favorite books, most surprising books, most disappointing books, and so much more! Join Christen and Stephanie as they discuss Elana K. Arnold's What Girls Are Made Of in this month's episode of Young Adult at Heart: Great YA Reads for All Ages. Join Christen and Ryan as they discuss M.A. Bennett's S.T.A.G.S. in this month's episode of Young Adult at Heart: Great YA Reads for All Ages. Join Christen and Sarah as they discuss Samira Ahmed's Love, Hate, & Other Filters on this month's episode of Young Adult at Heart: Great YA Reads for All Ages. It’s hard not to find angst all over YA books. Some books slather it on (::cough:: Twilight) and some are more subtle. Every reader has a certain level of tolerance for angst, which is why Alexis and I came up with a handy little angst rating system for the books we review. We want you to have plenty of warning before you open that front cover. Each episode of Young Adult at Heart will discuss a particular book’s angst level. Alexis and I don’t always agree and we would love to hear your opinions on the subject. 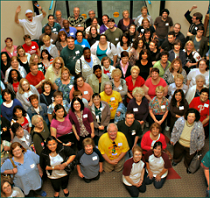 Take a look at our list and let us know what you think. Are we off base? Are we missing a particularly angsty teen character? Do you wish YA books had more angst? We want to know!